It's often said that Americans don't know much about other countries. It could also be said they don't know much about this country. Latest case in point: the District of Columbia -- you know, our nation's capital -- is changing its drivers licenses so TSA agents will stop asking D.C. residents for their passports, a local news site reports. The licenses currently say "District of Columbia," which is accurate. But no one seems to know where that is, and District residents have been stopped at airports and asked to produce passports by TSA workers who think the District of Columbia must be in South America. Or somewhere. 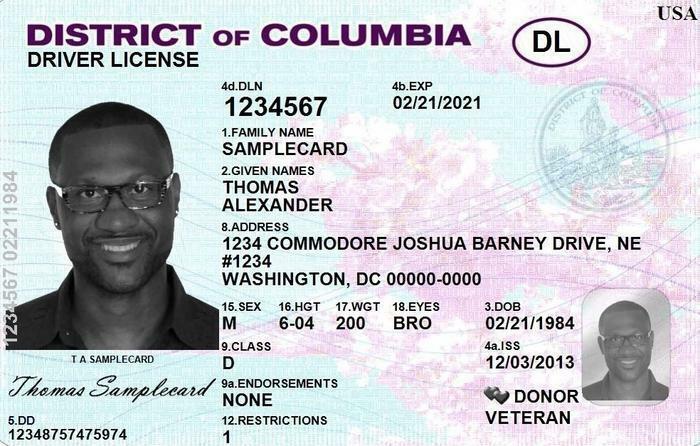 So soon the licenses will revert to saying "Washington, D.C.," which is not accurate but may be more recognizable. Technically, there is no such city as "Washington" in the District of Columbia. D.C. is sort of a state without any cities, though lacking representation in Congress. It's not a problem unique to the District (as we locals call it). Years ago, New Mexico changed its license plates to read "New Mexico USA" because its residents got tired of being asked what part of Mexico they were from when they ventured out of state. And then there's Virginia. Not long ago, I was leaving the long-term parking lot at Los Angeles International Airport in a car that had Virginia license plates. The cashier looked at me suspiciously. "Is that East Virginia or West Virginia?" she demanded. No amount of talking would convince her there is no such place as "East Virginia."